I just took a look at a news item that arrived in my daily PEHub Wire news roundup: Gotham Consulting Partners’ private equity survey on value creation. While I’ve only had time for a quick read, three things jumped out at me immediately. 6% of the time spent on due diligence is spent on IT systems. This seems low, especially in light of what the rest of the survey says about value creation. A figure of at least 10% would make much more sense for PE firms that are serious about driving operational value creation initiatives. Post-merger integration does yield greater than expected results, according to survey respondents. A logical extension of this thought would be to begin integration planning early, to achieve those results as quickly as possible after the close. Most firms are relying on standard financial and operational reporting as tools for managing their portfolios. However, among the more active methods of portfolio management cited, shared purchasing /shared services is the least used among the respondents. However, a followup question listed shared purchasing/shared services as one of the two active management techniques that yielded better than expected results. There is a lot of great information in this survey, but at a high level, it points to the need for further changes in approach both before and after deals close. More time spent vetting out risks at a deep level within operations and IT, rapid integration, and new approaches to active portfolio company management could drive these results in a different direction when the 2010 survey rolls around. Is this the end of M&A as we know it? There’s no doubt about it—deal volume and total deal value is down year over year from 2007. Credit market woes are pushing buyers to move away from senior debt toward riskier mezzanine capital. Common sense would tell you that if you’re taking on more risk, you’d better be vetting out risks earlier in the deal timeline, yes? Valuations are coming into line due to market conditions, so there’s not so much need to use due diligence to position for negotiating advantage during valuation discussions (but hey, it never hurts to strengthen your position during negotiations, right?) But, given the additional risk you’re taking on with the mezz financing, you’d better have a clear idea about what your IT spend needs to be in year 1. Pre-close is the time to ferret out those orphaned releases, costly overly-customized environments and low-productivity in-house custom IT development shops. Find them, redefine them, and build a tight cost model so you don’t take on any more risky debt than necessary. Gloom and doom, we can’t shake it these days—it feels a little like we’re living through Ragnarok or at least Fimbulvetr, the winter of winters that precedes that Destruction of the Powers, doesn’t it? Many assets are being put on the block these days as part of a vast global deleveraging battle. Who couldn’t use a few valkyries on the team, to help choose among these slain assets the most worthy and heroic and carry them off to the Valhalla of value creation? Difficult days for all of us, these. 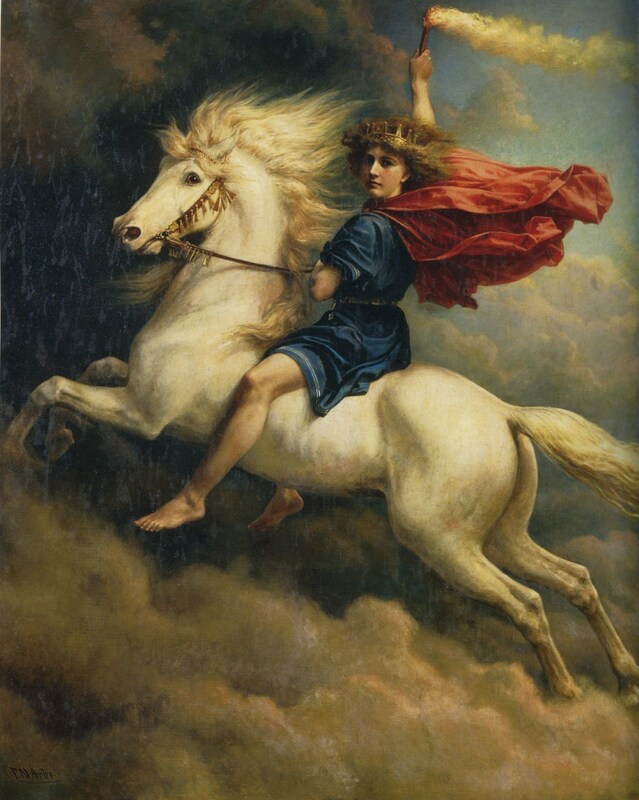 Let’s remember the great Norse legend does end on an up-note, though — after the great battle, the world resurfaces anew, fertile, with a bright future. Even in these uncertain times, there’s much you can do to either position the assets you plan to put on the block, or to prepare for the success of future acquisitions. More about both topics in future posts. Make sure all data models and data dictionaries are up to date. This will make it easier to map data from your acquisition’s systems into your (target) systems. Spot check data quality in your target systems. If you notice a lot of duplicate records, missing fields, or fields used for purposes other than what is defined in the data model/dictionary, your data migration will be more difficult. Begin defining your detailed plan for data cleansing and migration early, and specify the tests you will perform to make sure the migration is successful. Establish clear business ownership/sign-off authority for the test results. Budget time into your data migration plan for several test data loads to minimize risk on the final cutover day. The best M&A technology plan isn’t really a technology plan at all. It’s a comprehensive business integration plan, owned and driven by a seasoned integration program manager with experience in systems integration, data conversion, and organizational change management. Failure to pull the technology, data, business process and organization integration workstreams into a single plan is a surefire recipe for integration delay or failure. Easier recognition of schedule and resource conflicts that cut across the workstreams. More agility in replanning the entire body of work when milestones in any single area are missed. Better insight into interdependencies in the plan. More effective use of team time, since there is a single status meeting to cover all workstreams. A key to success with the unified plan is to write this master plan at the correct level of detail. The unified plan should not contain detailed tasks and action items, but it needs to provide enough detail for meaningful tracking. Supporting tools, such as detailed project plans and Excel tracking workbooks can and should be used within a particular working group to manage all the moving parts.